There are several coin shops offering silver in Houston. They are located in the downtown area mainly, but can also be found in the suburbs. Sales tax in Texas is 8.25%. Therefore, you should add this amount to any silver bought in Houston. This tax is waived over a purchase price of $1000. Not all local shops will have that large quantities of silver on sale, and so you may be tied into paying the sales tax. If you purchase online from another state you may not have to pay the sales tax. Here are a few local Houston coin shops that could be worth a visit. 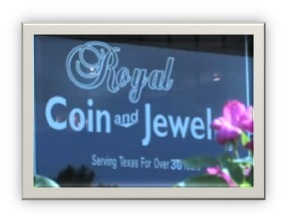 Royal Coin and Jewelry are one of Houston’s premier coin specialists. They sell US and foreign coins, PCGS, NGC, and ANACS certified coins, currency, and bullion coins. They often pick-up excellent stock through their estate appraisals and liquidation service and have an extensive online store to search through and find what you’re looking for. They’re open Tuesday through to Friday 9:30AM to 6PM, Saturday 9:30 AM to 3PM; and are available by appointment on Monday and after hours. US Coins is a source for collectors and those looking for rarer coins. Their retail store is open from Monday to Friday 9AM to 5PM. Their website is impressive with a really good online store. The company was founded in the 1980’s by Richard Duncan Sr. Richard focused the company on the wholesale of rare coins. The company has achieved a sterling reputation, supplying some of the nation’s top rare coin investment firms. They work with premier collectors and have excellent market knowledge. In addition, USC have excellent buying power, giving them an edge over many other rare coin companies. 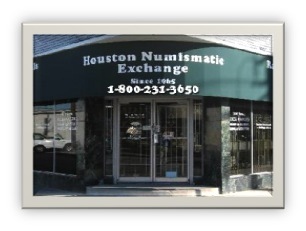 Houston Numismatic Exchange was founded in 1965. They are Houston’s largest gold and silver dealer. If you drive down to the shop, which is located in a safe and secure position in Houston, you will be met by Jay Johnson—the son of the founder of the company. You will receive a personal service that is informed by years of experience in the silver and precious metal industry. Founded in 1955, the Greater Houston Coin Club is a club for all types of coin investors in Houston. It is a member of the American Numismatic Association and the Texas Numismatic Association. 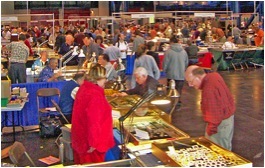 It is not a coin shop, but is an excellent place to meet enthusiasts and dealers. The annual Money Show of the South West brings together 250 dealers and offers a rare opportunity to see and buy a massive variety of coins. The GHCC is a not public charity, not for profit. You can find out more on the website www.houstoncoinclub.org.